EXPERIENCE NEUROSCIENCE: Learn the fundamental principles of neuroscience by performing real experiments! 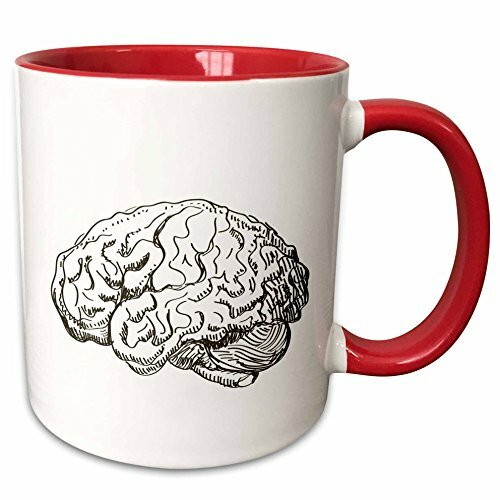 A GREAT GIFT: The Neuron SpikerBox is beginner and youth friendly, making it a great gift for all science lovers! EASY TO USE: Everything you need is included to perform over 20 experiments! Record and manipulate live neurons! Just add an insect! The SpikerBox is an accessible, entry-level brain recording kit that provides the ability for students of all ages to learn about neurons. 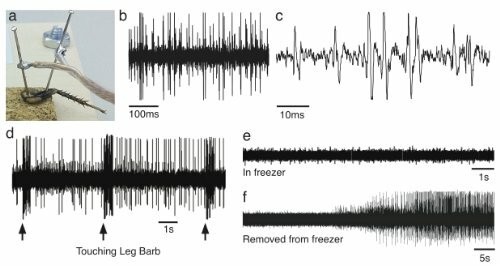 For the first time ever, students and amateur scientists will have access to the types of tools used by research neuroscientists worldwide to study electrophysiology-the electrical activity of neurons. With quick and simple experiments, anyone and everyone can experience how the brain is able to communicate our senses, memories, hopes, and desires! How does the SpikerBox work? 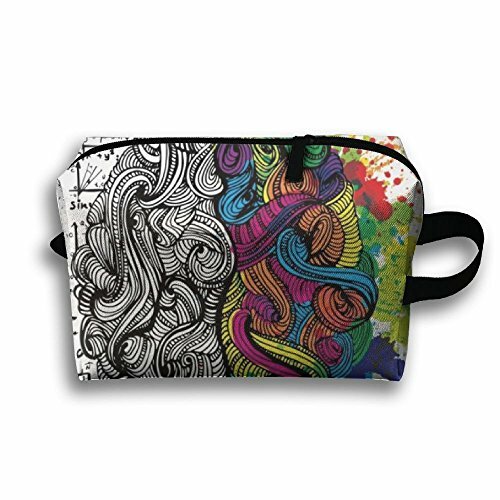 Cells of the nervous system (even ours! 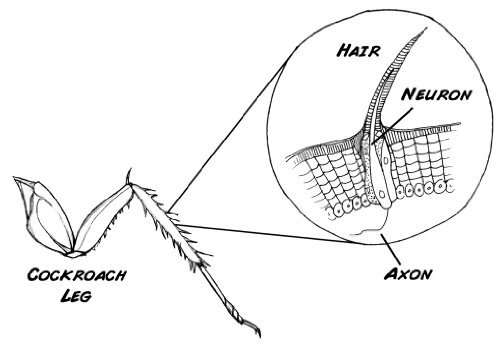 ), called neurons, are specialized to carry “messages” through electrical pulses traveling down long extensions called axons. By using metal pins, called electrodes, it is possible to “eavesdrop” on this conversation. 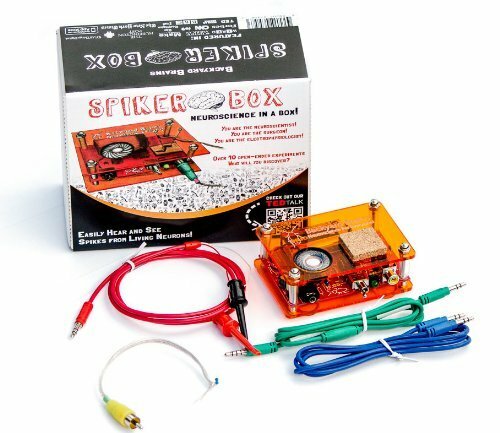 The SpikerBox allows you to record from invertebrate animals (like cockroaches, crickets, crawdads) by using a simple bio-amplifier and filter. 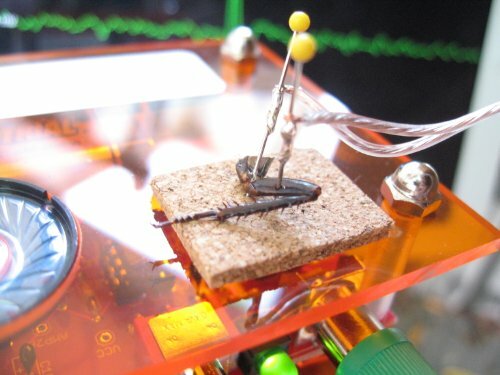 The input of our kit connects to two neural probes-the metal needles-which are placed into a living insect. 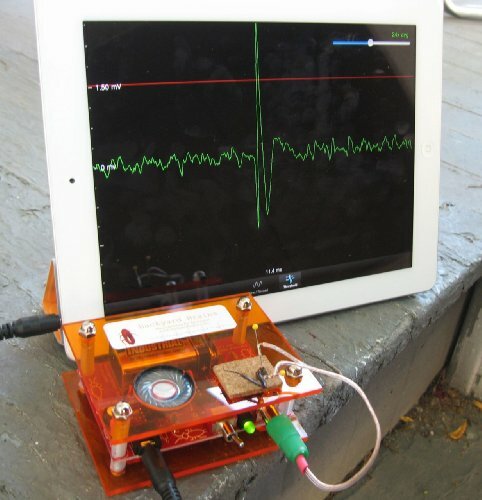 The output is neural activity, what we call “spikes”, can be heard via a built-on speaker, or seen on your computer, iPhone, Android, iPad, or iPod Touch (apps are free, but a smartphone cable is used for best results). Our kits have been written up in the New York Times, Education Week, Wired, Scientific American, and more! 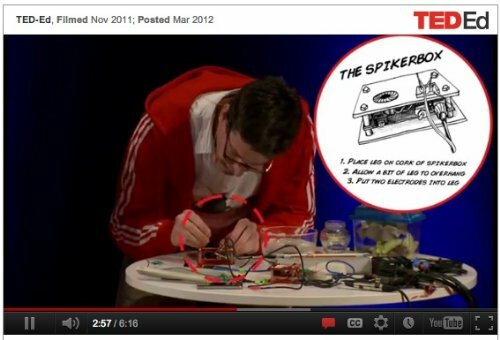 You can watch the SpikerBox in action at our recent TED talk: http://on.ted.com/Gage. 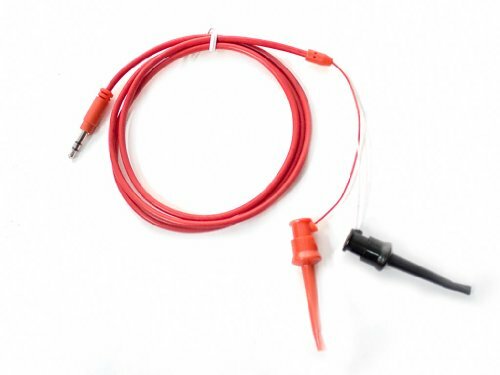 We also have published on the SpikerBox in PLoS One: http://dx.plos.org/10.1371/journal.pone.0030837 Everything you need to get started is included in the kit: An electrode, specimen pad, and speaker. 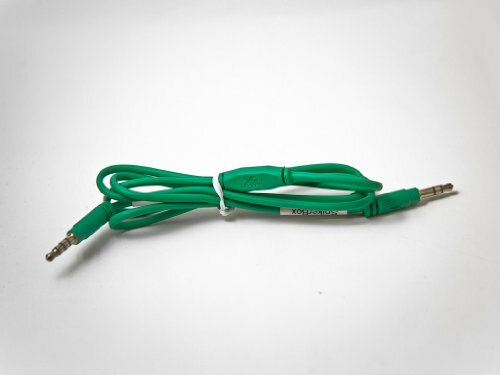 We even include the 9-volt battery! All you need to get started is an insect, time, and a curious mind. A REVOLUTIONARY INVENTION: Never before have students been able to perform real neuroscience experiments at home! 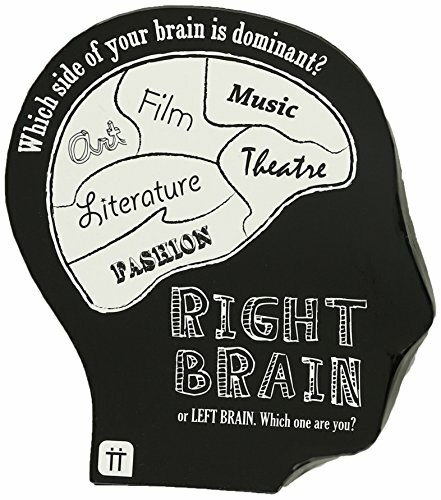 Win your Science Fair, impress your teachers, or introduce your students to the world of hands-on neuroscience!